Just remembering something else I made at Trish's last year during her sweet treats class! 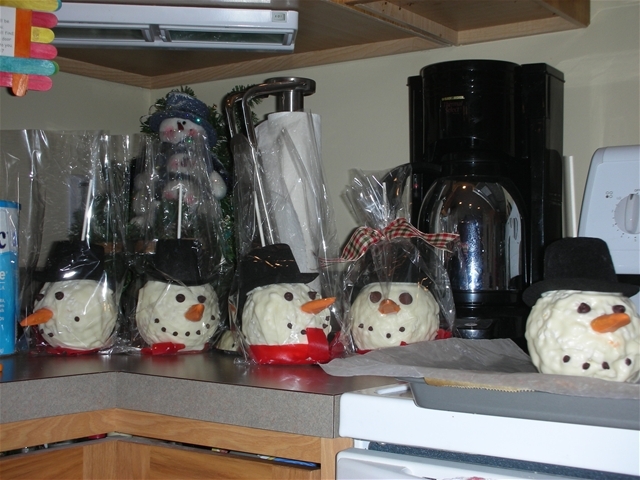 I loved these popcorn ball snowmen! !